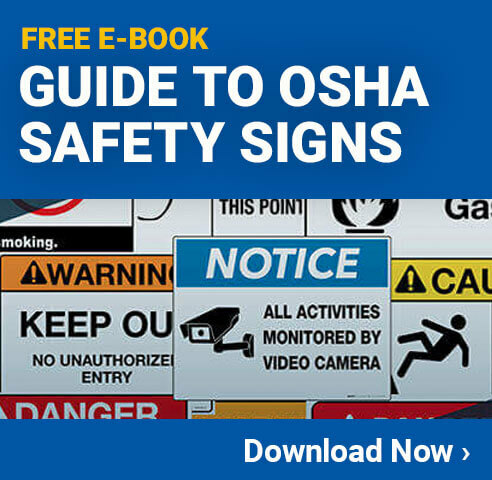 Safety observations can eliminate deadly workplace accidents? Hear how one man hopes to use statistics to stop fatal accidents by the end of the century. In the United States, 4000 to 4500 people die in the workplace every year. Predictive Solutions’ primary goal is to end deadly workplace accidents by 2099. Their General Manager, Griffin Schultz, explains to Dan Clark how this can become a reality. In this podcast, Mr. Schultz describes how safety representatives, managers, executives and frontline workers walk around their plant or jobsite and record traditional safety inspections and observations. Predictive Solutions then inputs that data to achieve advanced analytics and even machine learning algorithms that allow them to predict accidents. And with a prediction comes the opportunity to avoid the accident. Dan Clark: One man wants to end deadly workplace accidents by the end of this century. Is that possible? Dan: Hello, I’m Dan Clark, and today we’re talking with Griffin Schultz, the General Manager of Predictive Solutions from his office in Oakdale Pennsylvania. Hello Griffin. Griffin: Hello, how are you? Dan: I’m well, thank you. You have a lofty goal, ending death on the job. Do you think that’s possible? Griffin: I think it’s, it’s absolutely possible. And our goal is to end it by the end of this century, which gives us a lot of time because it’s a big problem. It’s actually the goal of the chairman and founder of our parent company, Kent McElhattan, who some of you may know as the outgoing chairman of the National Safety Council as well. He set out this goal for the company. We know we’re not going to be able to do it by ourselves. We have several strategies in place to get to that goal. And we have several companies as part of our family to do so. And our part in that is to predict, ah, workplace injuries so our customers can prevent them. So, that’s our specific strategy in helping execute our chairman’s goal. Dan: And how are we doing? Is the workplace death rate going up, down, flat? What is it? Griffin: Actually, if you just look at the United States, we’re averaging 4000 to 4500 workplace fatalities a year. If you look over the last 20 years, that fatality rate hasn’t come down a lot. It’s flatlined a few times. And then, even more, I think, discouraging for us safety folks is if you plot the United States GDP against that line, it’s very similar. Which might suggest that when GDP output is going down and we’re working less, less people are getting killed on the job. As we’re working more and GDP goes up, more people are injured on the job. It doesn’t track exactly the same, but it’s pretty close. So, I think there’s a big challenge for us in safety, and that’s why we’re focused on what we’re doing to find some new ways to address workplace fatalities. Within our portfolio of businesses what we do around predicting and helping our customers prevent injuries is just one aspect of that. But, I would say we still have a lot of work to do to end workplace fatalities. Dan: Well, since you’re with Predictive Solutions, I’m going to ask you to be predictive. Do you have a specific year, before the end of this century, that you predict worker deaths will go to zero? Griffin: I don’t because many of us that are working on this problem today won’t be around at the end of this century. And we, literally, our culture here is, we believe we’re going to have to hand off what we’re doing to those that come behind us. Our Chairman, Kent McElhattan, that came up with this vision, believes that there’s going to need to be other methodologies and strategies that we haven’t even thought of yet that are available in the second half of this century that aren’t available now based on newer technologies. Maybe around robotics, or you see a lot around wearable tech. Even, maybe, pills that you can take that can read certain body signals and biometrics that might help us improve safety. So, I really can’t. I’m going to do, and those of my colleagues are going to do, all we can until we bump up to the end of our careers just to move the ball forward. I think that’s as good as we can do, so, I can’t give you a prediction on that, sorry. Dan: Well, that’s a noble mission, Griffin. So, if a company wants to get started on this path, tell us a little bit about what you do with Predictive Solutions. Griffin: Yeah, so we help our customers collect workplace safety data through mobile, tablet and other computers as well as on paper and then either scanning that information and digitizing it, or just entering it directly into the application. And then, once you get that data into our software system there’s really two levels of things that you can do with it. Ah, you can run reports and pretty standard data access reporting against that data, like you would in any software system. But then, on top of that, we have advanced and predictive analytics capabilities. So, not only can you run a report, but you can also get answers as to what’s going to happen in the future through trending, through statistical analysis, and extrapolation, and even predictive algorithms through machine learning. We often say that “Leaders want answers, not just reports.” So, ultimately, that’s what were trying to do. Data goes in, and information and predictions come out. Dan: So, a safety inspector could walk through a facility and make his or her own predictions, but yours is one step up. You, you take data, you crunch it, and you predict. Griffin: Yeah, however they’re completely based on what you described there in the first part of your question. Our customers, either their safety representatives, or anybody on their team, frontline workers, to managers, to executives, walk around their plant or their jobsite whatever they may be, and do fairly traditional safety inspections and observations. What we do differently with that is then apply more advanced analytics and even machine learning algorithms to that data that allow us to get to these predictions and these answers. But it is absolutely based on pretty standard safety inspections that most companies are doing day-in and day-out. It’s just applying more rigorous analytics solutions to that—analytic solutions have been used in other parts of business—you know, marketing, sales, quality management, customer loyalty. These are all very tried-and-true methodologies just being applied now to safety. Dan: If your software cranks out a prediction about a potential event that could happen at a location and then at that location it actually does happen and the only way anyone would’ve known this was through your predictive software does that surprise you? Griffin: Well, we’re never surprised because we built the algorithms, we’ve done a lot of testing on it. We’re very used to the types of results that we get. But, certainly, our customers oftentimes are surprised. I can give you a specific example. We had one customer who was using this methodology within one business unit. And this business unit at about 10 different locations. The Predictive Red Flag Model—there’s other analytics but the main predictive model is the red flag model—we run it at the beginning of every month on our customers’ data. On February 1, 2013 one of those 10 locations was red flagged. This location had not had a lost-time recordable incident in nine years. So, it was viewed as the safest location of all of the 10. So, nobody gave the red flag really much credibility. And then on February, I believe it was the 28th, there was an employee there at the site who lacerated his arm with a box cutter, had to go to hospital, got some stitches, wasn’t seriously injured but there was a lost-time incident. So that really turned some heads at the company. We couldn’t necessarily say—our red flag model can’t say—Joe Smith is going to lacerate his arm on February 28th. Griffin: But we can say is based on this data that you all, our customer, has been collecting, this site is at higher risk of having incidents. So, once they saw that the model was accurate it sort of turned some heads. It allowed them to change the way they address safety. They’re now much more proactive. When they get a red flag, their standard operating procedure is to have a safety stand-down, look back into the data and see what are the types of risks that folks are seeing in these walk arounds when they do these inspections and observations. And talk about the safe way to do that work and to manage those risks or eliminate those risks. So it’s really changed the way that this company operates from a safety perspective. Allows them to be much more proactive. Dan: Griffin, if you have a new client with no safety culture and you have workers that are responsible for the safety observations for you to input the data, how do you ensure that they know what they’re doing? How do you ensure it’s not garbage-in, garbage-out? Griffin: Yeah, that’s a great question. We get that a lot. There’s two aspects, at least within our solution. There is the Red Flag Predictive Model, which just looks at data and separates it. Doesn’t put any safety lens on it. It’s just looking at bits and bytes of data, ones and zeros. And through machine learning, is making predictions. And the folks that we work with in our team that builds those algorithms can take into account the fact that some poor quality data is going in. They can account for that in the model. They can tune it in certain ways. In fact, sometimes it’s even helpful. Griffin: The models use that, actually, as a potential warning flag. That’s one of the data elements that the models use to say “Hey, this site is at high risk.” If you have a high, high number of those 100% safe or 99% safe inspections—which, again, many people view as poor quality data, people are missing stuff—the model can use that. Now in the other parts of a solution or methodology like this where a safety manager is going in and looking at more traditional reports and coming to their own conclusions about their risk, and their own predictions, you do have to worry about quality in the data. And, without going into a ton of detail, there are different reports and analyses that you can do that can tell you how high or low quality a specific data is. For instance, there’s a star rating system, an indexing system, for the various observers or inspectors that are going out. Your five-star inspectors are your best, and your one-star inspectors are your worst. And it provides very specific coaching on how you can make a one-star inspector a five-star, or three-star a five-star. Move people up by giving them very direct feedback, sort of like a performance review. Dan: Well, that’s great. With this software capability, when it comes into a plant—you bring it in for the first time—I wonder what kind of reception you get from workers, maybe older workers that are not necessarily tech savvy. What do they do, what do they say? Griffin: Yeah, that’s the Change Management, which is how I would encapsulate all that, that a company has to go through. It depends on how mature their safety program is already. Griffin: You know, it works best if you already have a well functioning safety inspection and observation program. Then, we’re just asking people to move from paper to entering data via handheld or mobile computer. But if your folks are not tech savvy, or are not early adopters of technology like that, we can keep it in paper and get the data in other ways. But that Change Management is usually the biggest obstacle to success. It’s not how well the software functions. It’s about getting people to adopt it. So all of our delivery team, that goes out and works with our customers, are former safety managers. So, they’re used to, and very experienced at, setting up a program with our customers that can overcome that Change Management. But the most critical thing on the customer side is an executive sponsor or champion within the business that’s going to stand up and say “Look, this is a vision of the future. We want be more proactive on safety and this is what we’re going to need to do to get there. It might be a little bit challenging or painful along the way but, you know, we truly believe in this.” And if you have that executive sponsor and champion within the customer, your rates of success go way up. Dan: If you have a potential client who says “You know what, I can afford the full boat. Could you give us data from a similar business?” Say, you know, it’s a sawmill and there’s another sawmill in another city that has a similar facility, can you reuse the data instead of creating it from scratch? Griffin: Yes, we’ve started doing that over the last couple of years. The challenge there is, in order to use our off-the-shelf advance analytics and predictive model, the data has to have a similar structure to the data that we used to train and build those advanced analytics and predictive models. Now, again, that data is pretty standard safety inspection and observation data, but lots of times we’ll find a new customer that doesn’t have a long history with us has to tweak the way it collects data just a little bit in order to use the off-the-shelf models. So, that’s easy to do if you’re engaging with us, you know, out of the gate. But, if you’re coming to us with historic inspection information, sometimes it will work, sometimes it won’t. If it doesn’t fit our model, then we can build customized models. And then, the only limitation there is: how much data does that customer have? All of our data from all our customers get anonymized. We do R&D against it. We anonymize it all so that we can use huge pools of data to do R&D against to come up with new models. And it’s very difficult, at times if it’s a small data set, to do that on one company. That’s one of the benefits of having all this data in one place. So, we can engage with the customer and their historic data. It just depends. Can they use our off-the-shelf solutions or do we have to build something custom? Dan: Well, it sounds like companies have options. Dan: Griffin, we’re just about out of time here. But before we go, let’s talk briefly about your website. Ah, what is your web address? Griffin: Sure. So, our website is PredictiveSolutions.com. A lot of good information on there as well, you know, not just related to our solution, but we support a blog that has a pretty active community of folks that are non-customers that just share information on there. That blog is called Safety Cary. Cary Usrey is one of those folks I talked about, a former safety manager, that now works on our team. And he manages and writes, and many of us write for the blog. We also have a learning center that just has links to various articles, and we have videos on there and other things. So, there’s some good general safety information on there as well. Dan: Well it sounds like good information, and we spoken with Safety Cary before, and he’s a good guest. So, thank you for that. Dan: And thank you also for being on the podcast today. We hope to talk to again sometime soon. Griffin: Great. Thanks, I appreciate the opportunity. Dan: We have been talking with Griffin Schultz, the General Manager of Predictive Solutions. Check out their website, PredictiveSolutions.com. I’m Dan Clark.